Pasta is a versatile and indispensable ingredient in our cooking arsenals. At different times and for different crowds, it can spotlight as a reliable weeknight dinner, a satisfying late-night snack, or an easy but crowd-pleasing main to serve guests. The fundamentals of well-cooked pasta start with the basics: the right size pot and enough cooking water. Using a pot that is too small or not enough water will cause the noodles the stick together and cook unevenly. No matter how good your sauce is, the foundation of your dish will be compromised from the start. For 1 lb./500 g of pasta, you’ll want to use a pot that holds at least 5 liters of water and fill it about ¾ of the way up. It can’t be emphasized enough how important salting your pasta water is; after all, it’s the only chance to season the noodle itself. If you don’t, the whole dish will taste under-seasoned. The old saying goes that the water should taste like the sea before you add the pasta. This is a fuzzy measurement at best, but in general, it takes a few heavy pinches or, more approximately, about 2 tbsp. of salt per 1 lb./500 g of pasta for a well-seasoned dish. It’s easy to get distracted and forget to stir pasta once it’s added to the pot. But giving the noodles a quick stir right after submerging them in the water will go a long way in preventing them from sticking to the bottom of the pot, or to each other. You’ll want to come back and stir the pot periodically throughout cooking to be safe, as well. So often we rely relentlessly on package instructions to tell us when something finishes cooking. In fact, we should trust our instincts first. Testing the noodles for doneness a couple minutes before the package says they should be finished is the first line of defense against overcooked noodles. If your plan is to simmer the noodles in sauce after straining, it’s best to remove them just shy of al dente, as they will continue to cook in the sauce. One of the most important tricks to better pasta comes just at the end: reserving some of the pasta water. The starchy cooking water goes the distance for you when it comes to thickening and binding sauce to noodle. So before dumping out the water, ladle some of it into a bowl for keeping. Then add some of it, a spoonful at a time, to your sauce for a better consistency. Do you have a trick for better pasta? 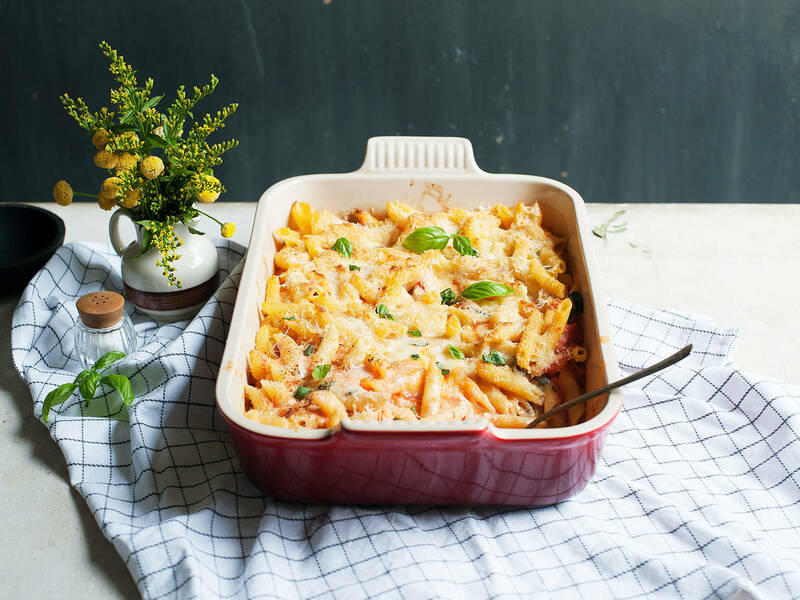 Share it with us in the comments, or email us at community@kitchenstories.com with a recipe and picture of your favorite pasta dish!